People who write cookbooks about baking often try to avoid publishing recipes that call for candy thermometers. I’m not sure why, since you just stick it in the pot, and wait for the temperature to reach the desired degree. What could be easier? The other bonus is with your thermometer, you can make homemade candy, such as marshmallows or billowy topping for S’mores Ice Cream Pie. The great thing about candying your own ginger is that you get plenty of spicy slices from just one pound (450g) of fresh ginger. Once candied, it can be stored in its own syrup or drained and tossed in sugar. I use it when baking, but it’s also nice served after dinner, just as is, or with the pieces dipped halfway in dark chocolate. One caveat: most fresh ginger that you buy is quite firm and may have fibers in it. If you can find young ginger, usually available in the spring, that ginger is more tender and has fewer fibers. In any case, slice the ginger as thinly as possible, which also helps ensure there won’t be stringy bits in your finished candied ginger. 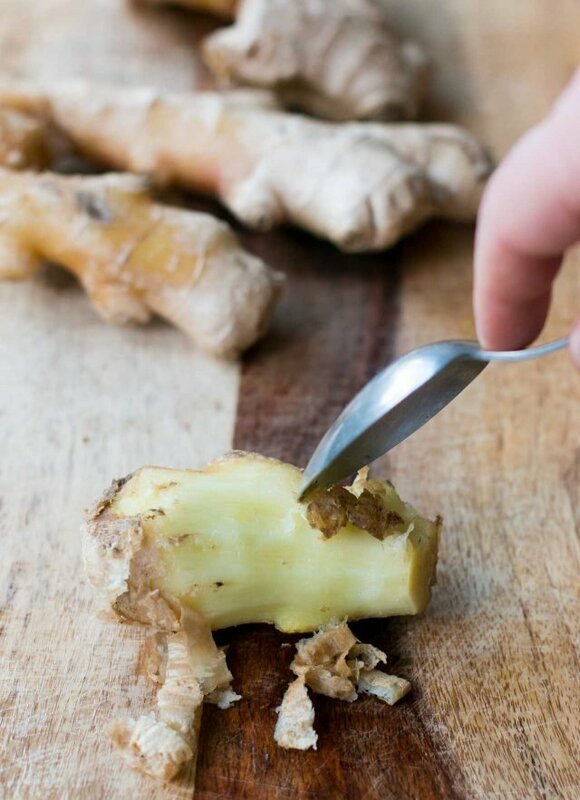 When peeling the ginger, a nifty trick is to use a soup spoon and holding it so the bowl of the spoon is facing the ginger, scraping away the skin with the edge of the spoon. 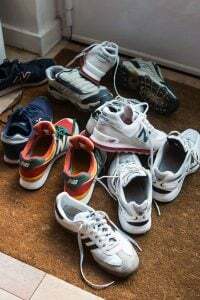 You can even get easily around all the nooks and knobs using that method. I use candied ginger, finely chopped, to enliven baked apples or a batch of lemon ice cream. It can be added to cake batters and gingersnap or oatmeal cookie dough to give your cookies an extra-zippy edge. It’s also go sliced into thin matchstick-size strips and added to a batch of marmalade during the last minute of cooking. 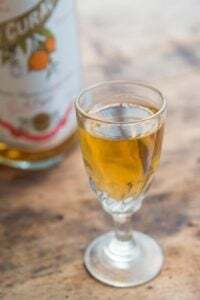 Since I don’t like to waste anything, and hopefully neither do you, one can save the syrup and use it to make a spicy elixir, mixing it to taste with sparkling water and adding a squirt of lime juice or use it to sweeten lemonade or iced tea. If you like cocktails, try adding syrup in place of the sugar in an Old Fashioned. Adapted from Ready For Dessert (Ten Speed)Although I recommend using a candy thermometer, if you don't have one, simply keep an eye on the pot of ginger while it's cooking in the syrup. When the liquid is the consistency of maple syrup and the bubbles are thick, it’s done.If you're unsure if your thermometer is telling the truth, boil a pot of water with the thermometer in it. Once the water is boiling, if you live at sea level, the temperature should read 212ºF, or 100ºC. 2. 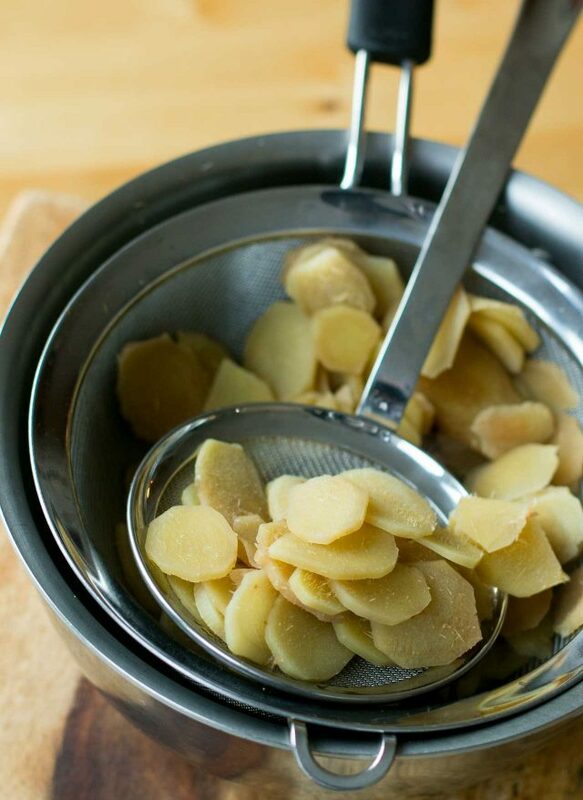 Put the ginger slices in a nonreactive pot, add enough water to cover the ginger, and bring to a boil. Reduce heat and let ginger simmer for ten minutes. Drain, and repeat, simmering the ginger slices one more time. 3. Mix the sugar and 4 cups (1l) water in the pot, along with a pinch of salt and the ginger slices, and cook until the temperature reaches 225ºF (106ºC). 4. Remove from heat and let stand for at least an hour, although I often let it sit overnight. 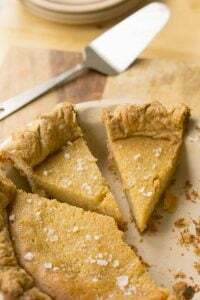 To coat the slices with sugar, gently rewarm the ginger (the syrup will drain easier if warm) and strain the ginger through a colander or strainer. Let it drain thoroughly, 30 to 60 minutes.If saving the syrup for another purpose, strain the ginger over a bowl. The ginger can also be stored in the syrup, in a jar. 5. 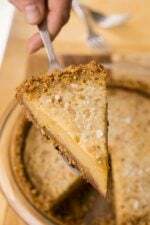 Toss the drained slices in additional granulated sugar. Shake off excess sugar, and spread the ginger slices on a baking sheet or cooling rack until they’re somewhat dry. The sugar can be reused in a batter or ice cream base, or for another purpose. Storage: The ginger, packed in its syrup, can be stored in the refrigerator for up to one year. If you’re concerned with it crystallizing, add a tablespoon or two of corn syrup or glucose to the sugar syrup at the beginning of step #3. If tossed in sugar, the pieces can be stored at room temperature or in the refrigerator for a few months. I just used candied ginger for the first time in a pumpkin bread for Thanksgiving. It adds a different note to a typical recipe. There were some surprised looks when some got a little snip of a piece in a bite of the bread. I really liked it and will use it again in a fuyu persimmon cake recipe that I have been wanting to try. I’ll wait for spring to give this recipe a go, as I’d like to try it with the less fiberous ginger. I don’t know why using a candy thermometer would scare people away from a recipe. The recipes that tend to scare me away are the ones that have you boiling a sugar and liquid for 3 or 7 or 5 minutes. What the heck are they doing or do they even know? I can usually figure it out, but those are some pretty iffy ways of getting the expected results. You can also use the ginger syrup over tofu pudding (do hua) which is pretty popular in the winter. Oh goodness – that’s gorgeous ginger, David! Must be off today to finally buy candy thermometer ( yes, I’m one of those cooks that relies on a cup of cold water to test candy in making). You don’t have to sell me on crystallized ginger – I go through pounds and pounds of it a year – in muffins, for nibbling, in hot herb tea, ginger syrup. katrina: What’s funny is that just about every supermarket in the US carries candy thermometers; for some reason, they’re quite readily available in spite of their nefarious reputation! I do suggest folks buy two, so I have an additional one handy. They’re pretty cheap, and a few times I’ve broken one in the midst of some project and it’s a relief to pull out that extra one. 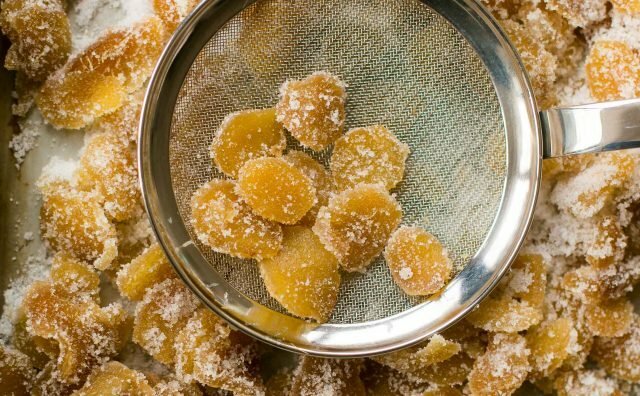 Candied ginger is so versatile and tasty! I have to be careful about buying it because I can nosh through a bag in no time. I have a stash of candied ginger nibs from The Spice House, which I’ve used to make gingersnaps and pear ginger cake, but it’s great to know it’s so easy to make your own! Your ginger looks divine. I love chewing on candied ginger. Makes my breath smell good and I believe it to be excellent for the system if not fantastic for the waistline. I’ve done this before, but your recipe does look much simpler. Which is good, because I’d love to give it out as gifts, but always thought it a pain. Thanks! Why do you boil once – drain and then boil again? Wouldn’t it make it very mild – draining away the essence of ginger? 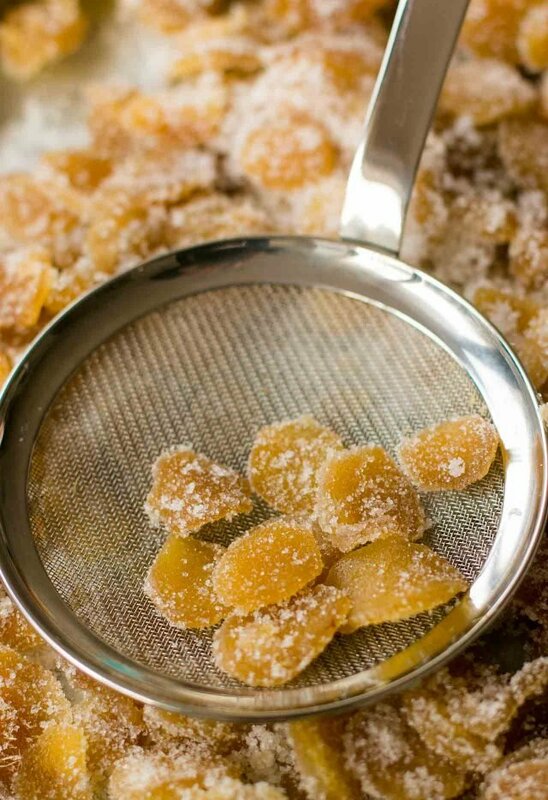 I love candied ginger and am so excited to make it myself! Its funny because I have made ginger syrup for homemade ginger ale and spicy margaritas several times, but never thought about the fact that it is basically the same method to candy the ginger. Love it, can’t wait to make them! And to Milena, I agree ginger is so good for your system. We munch on it whenever we have a stomach ache. I have the same question as Bhavana. Why boil once and toss? I have a second question, if you’ll indulge me. Over the last few years I’ve been wading quite slowly (but surely) into the land of candy making. Recently I’ve been working on a caramel recipe (and getting close to a good one). I love the spicy / chocolate mix, so I want to make chocolate caramels with candied chili peppers. Could this recipe for candied ginger be used on chili peppers? Have you used the recipe with fleshier fruits/veggies/etc? Bhavana & Pete: I blanch the ginger at least once before candying since it softens the ginger. When you candy things, like ginger or citrus peel with sugar, the sugar actually toughens the peel or ginger…which is why, instead of falling apart, boiling fruit in a concentrated sugar syrup actually ‘candies’ it, and stays intact. My candied ginger slices are quite spicy, even after blanching. And yes, Pete, you can apply the same method to chili peppers. I would likely omit the pre-blanching, since they’re pretty soft to begin with. I swear I woke up in the middle of the night last night vowing to look up how to make candied ginger in the morning, so I don’t have to do without it when I am living in Peru for a few months next year. How timely for me that you post this today! If you don’t have a candy thermometer, what is the best way to know you are near the 225 mark? I’m in so much trouble. I purchased candied ginger at Central Market last week. I had every intention of using it for my fruitcake, but the hunger fairy hit me and I ate the stash. I opted for a tablespoon of ground ginger for the cake, but don’t tell anyone. dara: You can use the cold water test for the syrup, in lieu of eyeballing it, or using a thermometer. Margie: I love Central Market! Have some corn tortilla for me next time you’re in there! Hi David. Thanks for this recipe, I’m going to try it this afternoon. I was wondering: can this method be used to candy orange, lemon or grapefruit peel? Thanks! Yes, this would make wonderful gifts at Christmas. These will be my next project from your site, after I make the peanut butter cookies, those will probably be brought to my family’s Christmas Eve celebration so that I don’t get too fat eating so many sweets. I made your altoid brownies the other day, and even my husband who doesn’t like altoids loved them! I think they were the best brownies I’d ever had. That is so true about baking being much easier than cooking meat! I can never tell the doneness of a burger and that drives my husband crazy. I love candied ginger since it adds such a fresh and spicy layer. Thanks for sharing the recipe. I actually have 2 candy thermometers and I have made my own candied ginger before. I always order my ginger from the Ginger People, it’s so much easier. I have a hard time finding good fresh ginger here in Ohio. It’s always tough & stringy. We love this stuff – it goes into so many things we make! I just love your blog! Love the way you write! Random question: have you ever had Chuao chocolate? My friend just gave me a bar called Chinita Nibs which is dark chocolate with caramelized cacao nibs and nutmeg. Strangely, I’m sitting here with the wrapper and can’t seem to find the actual bar of chocolate. The nutmeg flavor is really strong and surprising but also much better than I would ever imagine. They also have some other unique flavor combos such as earl grey which I think sounds really interesting. I can’t wait to try this recipe. I use candied ginger all of the time, but I had no idea the process of making it could be so straightforward. Thanks so much for sharing! I checked out the link for candied citrus listed above. It says to blanch the citrus peel and then scrape off the pith. If I were to simply use a peeler to take off the “zesty” part (for lack of a better word) to begin with would the result be the same or would it be too thin? And for your mincemeat recipe should the orange peel be coated in sugar? Thank you! I love ginger. I’ll be sure to try this. Also, have you tried Marion Cunningham’s Ginger Muffins? They are TDF. The recipe is in her Breakfast Book. I highly recommend them. They’re not light, but have a wonderful, sweet ginger flavor (from cooking ginger in sugar syrup). I’m delurking to tell you that this post evokes memories of my first ginger candying experience years ago. I got the recipe from a early 20th century cookbook and the process involved soaking the ginger slices in slaked lime and boiling and cooling the ginger+syrup mixture over seven days…That was one memorable experience – the candied ginger was just great…. Thanks for this recipe as I use candied ginger often and would rather learn to make my own. I too was once afraid of the candy thermometer, but getting over my fear and enjoying the rewards. 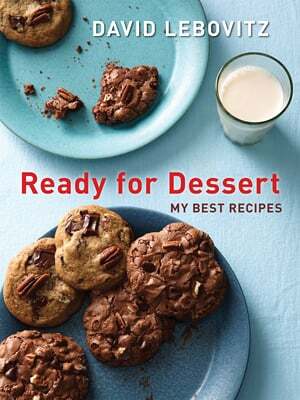 Your ice cream book is a great way to do this, as the candy recipes as toppings has become a good motovater! This may be clear for Americans but not for anyone else. Like the proverbial piece of string, how big is a cup? Why not just weigh ingredients? 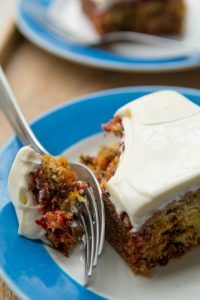 My husband has this idea that we can make a fabulous-tasting fruitcake to give out as holiday gifts to neighbors and co-workers. 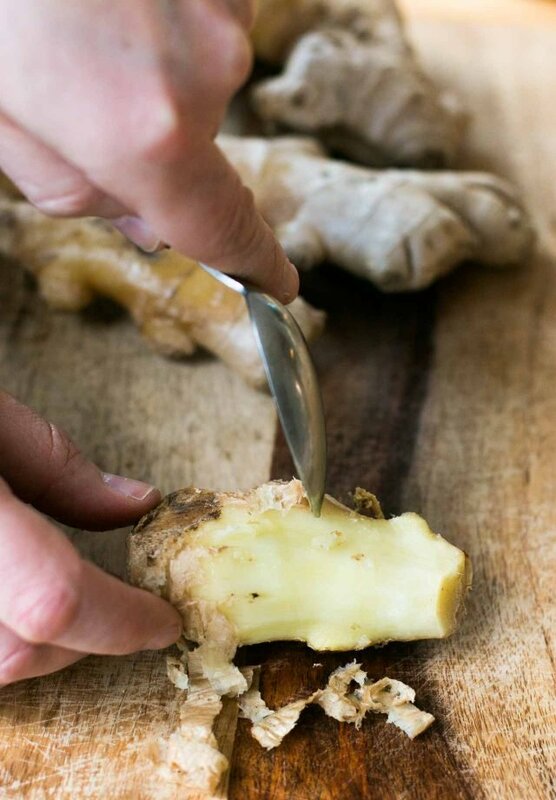 Thinking that candying all of our own fruit (and ginger) is the way to make it work. Have you ever seen any recipes that aren’t scary? I make a lemon curd with candied ginger. This will enable me to bump up the flavour and quality of it by used ginger free of unknown preservatives. Thanks, David, for reminding us of simple pantry items we take for granted that are so easy to make in large quantities. Saves on purchases of prepared foods too. Adam: That’s a good question, and if anyone out there has the answer, I’d be interested in hearing it as well. I now do all my recipes in both measurements, since I straddle both worlds, and it’s kind of a lot of extra work. No reason for you to believe this but I have a pound of ginger in the fridge that I was wondering what to do with. I just used my cheapy plastic mandolin (sp?) 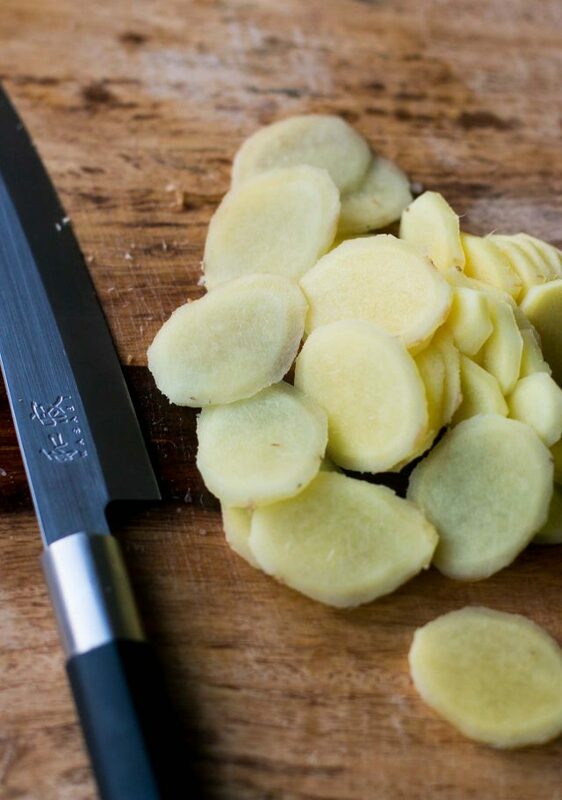 from Chinatown to slice the ginger…beautiful! I love my cheapy mandolin; it works much better than the fancy one from Williams Sonoma that was given to me last year. A word about candy thermometers: I have found that the long, stainless steel type that looks like a big ruler is the best. It has a built in guard to keep the tip from touching the bottom of the pan. And, the actual thermometer is not inside a glass tube that would get cloudy and hard to read. Taylor makes a good one. Dear David…may I ask what exactly constitutes a non-reactive pan, in my mind it would be ceramic or glass, are there non-reactive metals? Thanks so much in advance for your answer…I come across this phrase a lot and I’m not sure what pan to use. I can’t wait to use my ‘non-reactive’ pan to make your ginger, crystallized ginger is such a treat!! Good for sea sickness too if you are heading across the channel on a hovercraft anytime soon!! I’ve always found the cup measurement very annoying as in Australia (where I’m from) it’s 250ml but in the US it’s around 236ml, and the Imperial cup measurement is 283ml! O, yum. I’m going to make this ginger and use half of the results in another batch of your quick mincemeat recipe. I made a double batch after Thanksgiving and it’s already gone — half of it right out of the jar, via spoon. 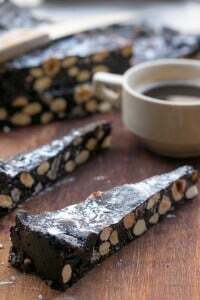 Do you have a toffee method you’d care to write about? I made this this weekend but (sans candy thermometer) was unable to make it reach that magic syrupy moment. I tried just reducing it, which still failed to yield syrup. It is delicious, even in its watery state, but if I do it again I think I’ll have to go the thermometer route. To clarify: you just bring it to 225, then turn off the heat? Hi Anna: Yes, you cook it to 225F then follow the next step, #4, in which you remove it from the heat. That temperature means that the liquid should be syrupy. If you’re having trouble a candy thermometer is a good, and inexpensive, investment. I discovered (inadvertently) that if you freeze the ginger before slicing and preparing, it softens the ginger significantly, making for a much more chewy, delicate final product. Thawed, the ginger exudes a significant amount of water, but it really makes a much tastier candied ginger. YUM! Thank you for this! I made a large batch on the weekend – 1/2 sugared and 1/2 stored in syrup and took your advice to save the sugar. My husband has never liked store bought candied ginger, or ginger much of anything – but he can’t keep his hands off this stuff. I’m a convert!! Now I can’t wait to chocolate dip a few, and also wait for pear season to make some incredible crumbles. I save the leftover ginger syrup and make homemade ginger ale: 1 part ginger syrup and 3 parts sparkling water in a tall glass, add a squeeze of lemon or lime juice and lots of crushed ice. Or drizzle the syrup over a fresh fruit salad, add a bit of chopped mint and serve. The syrup keeps indefinitely in the fridge. My disappointment with candied citrus, ginger and the like is that the recipes instruct to bring to the boil and then pour out what seems to be the essence and nutritional benefits of the product down the kitchen sink drain. I understand that the nutritional components are still there to a degree, but not to the degree they are beforehand. Bottom line, can I skip that step and simply steep the slices of ginger in a simple syrup, lay out to cool and then coat with sugar? sonya: The pre-blanching steps are done to soften the ginger, which it very tough. And in candied citrus, like grapefruit, you need to blanch it to remove some of the bitterness. If you’d like the save the draining liquid and use it for something else, that would be an option. Thermometer didn’t scare me away…I love candied ginger too much. I cooked to 225, left it to cool, then put it in a jar and into the refrigerator. I now have a crystalized solid block of tasty candied ginger. Any hints? Scott: 230º is usually considered “candied” but I like to underdo it a little with ginger. Check your thermometer; it should read 212ºF in boiling water, if you’re at sea level. You can put the ginger in a pot with a small amount of water and heat it gently, or in the microwave, which will melt down the sugar crystals. You could also add 1-2 tablespoons light corn syrup to the mix, which helps prevent crystallization. Will check the thermometers, thanks. Also a bit of corn syrup makes sense. Hey, small world thing. My daughter is going to Cal and is working at Ici as a scooper, (and picking up ice cream making tips). BTW, It’s time to send Mary more of your books. I made this today to mix into your recipe for fresh ginger ice cream. I wanted to find a way to use the ginger from that instead of throwing it away because I hate being wasteful. I don’t know if it compromised the taste at all, but I thought it was still delicious. My only question, I like my candied ginger a little bit chewy and this was still, I want to say crisp, but that isn’t the right word either. I didn’t know if this could be from reusing the ginger. 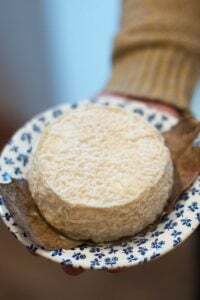 After I strained it out of the milk mixture I rinsed and dried it with a clean towel then blanched it once for 10 minutes and again for 5 minutes since it already cooked in the milk. Nevertheless, the ice cream is delicious! And since my husband isn’t a big fan of ginger, I get to eat it all by myself! I boiled for 55 min, it will not heat past ~212 F. And I calibrated the thermometer. What am I doing wrong ?? Worked great for me. I had recently for the first time tried this type of candy from a retailer and got hooked on it. I don’t think my ginger was the youngest like what’s called for in most recipes but it seems to be fine. Has a slightly fresher taste and aroma than the store-bought but I suppose storage time might take the edge off. I also cut mine up in a variety of sizes and thicknesses and they all seem to have cooked up just right. Note to Nadine: I think it’s common for your temps to get stuck for a period of time. I don’t know how long mine took but it sits at the boiling temp for a long time. My pot went from about 4 inches deep down to about 1.5 inches before the temp rose beyond that. How long does ginger syrup last in the refrigerator? Can I put the ginger (rolled in sugar) in the refrigerator to prolong its shelf life? Jadine: Sounds like a problem with your thermometer if it won’t go about 212º. Eileen: Check out the storage advice at the end of the recipe for storing the syrup. I don’t put the pieces in the refrigerator as the high humidity in there can act as an invitation to mold. It took me 3 hours of boiling for the thermometer to reach 225 degrees. I had it on a medium low temperature. It was boiling, but I was wondering if I needed to increase the heat. Hey David, I want to make these but I’m a little unclear about the instructions: “Slice the ginger as thinly as possible. It can’t be too thin, so use a sharp knife.” As thinly as possible and can’t be too thin at the same time? I’m confused. Thanks so much! Can I use a mandolin? Shaheen: If you slice it as thin as shown in the photo, you shouldn’t have any problems. And yes, you can use a mandoline. Thanks! I used a mandoline to quicken the process and the candied ginger turned out so well. I’m munching on some of this right now. I mixed the reserved sugar syrup as well as the water from boiling the ginger twice and reduced to a syrup forsome ginger ale! thanks for another great recipe. my 2yr old can’t get enough “ginger candy”. just finished doing the recipe. I have split it in half, one i have dipped in sugar and is now drying, and the other im going to leave till it is dry and coat in chocolate :). They are not for me but i could not resist a little nibble. GREAT RECIPE, no mess, simple. BISH, BASH, BOSH. We cook a lot of sweets during the holidays. This recipe looks perfect for the kids to tackle. Thanks! David, This will make you wish you were back in California: If one of our highway patrolmen spots a driver that he suspects may be drowsy, he’ll pull him over and give him a little baggie of candied ginger to revive him! I’m anxious to use your CG recipe so I can make your Date, Ginger and Candied Pineapple Fruitcake from your Ripe for Dessert book. Wish you were back making desserts in Opera Plaza! David, Can I put some of this ginger (coated with the sugar) in the dehydrator? I don’t have a dehydrator so can’t advise how it will behave or turn out. Sorry..
Hi David, It is Jody Mecca again. It turns out that my son did not make his meal for his girlfriend. So now I have all this candied ginger in the liquid still and I was wondering what to do with it. I took it to chef school to use in some of my recipes, such as relishes and chutneys, and I shared it with some of the other students and teachers but I still have a lot left over. Do you have any suggestions or recipes that it would be great in? It will keep for quite a while in the syrup, in the refrigerator. (At least 1 year.) 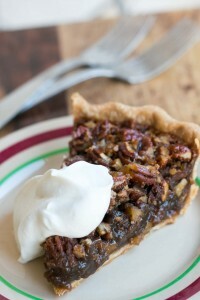 But you can chop it and add it to apple or other fruits for a crisp or pie, or cookie or cake batters, too. Or drain some and add to these Fruitcake Bars or Sticky Toffee Pudding. I made candied ginger from this recipe, David, in November 2008, and I have used it in all sorts of things: cake, quickbread, granola, granola bars, cookies. I used the last bit of it two weeks ago in a batch of berry-apple crisp. 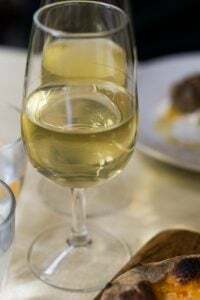 Additionally, I kept the sweet, ginger-y cooking liquid in a jar in the fridge, and that’s still going strong; I’ve used that in the same ways as the ginger itself, but have also used it to make cocktails! Wonderful stuff, David. Thanks for the method. It turned out great. It took me too about an hour to get the consistency of the syrup right (not using a thermometer). THis is the best candied Ginger I have ever had and I will make it myself from now on using David’s method. Thanks! You have singlehandedly cured my candy thermometer phobia and I have whirled off into the fairytale land of candied-everything! The ginger is great: a fabulous snack for a long commute and a great way to rev up the engines. I just wanted to say thank you. I made this as a special gift for my boyfriend and it was amazingly tasty and easy. A very nice and unique gift that was made even better by being homemade. I will continue to use this recipe as the syrup was wonderful on a bit of ice-cream. THANKS! I’m so excited to find your blog. 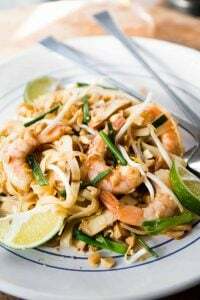 I will try this recipe with fresh ginger and, with ginger I’ve frozen to see how they turn out. I’ve always had trouble finding ways to use up ginger–it usually dries up and gets thrown away. I learned that if you freeze your peeled ginger you can grate it into dishes as you need to and it’s spectacular. Just return the unused portion for your next gingered dish whether it’s tomorrow or next month. The first time I tasted candied ginger was 10 years ago in a local Christmas market and was totally turned off by it. I suspect it was stale. Since then, I didn’t bother trying it again. I now made this recipe 3 times and each time I can’t get enough of them. Thank you for sharing the recipe, David, and helping me rid of my candied ginger phobia. One question: I was thinking of partially dipping the sugar-coated ones in dark chocolate. Do I need to temper the chocolate first? I’m nervous about tempering, so my other option was to melt some chocolate in a bain-marie, put it in a cornet and drizzle over the ginger. Natalie: Glad you’re enjoying the recipe! You need to temper the chocolate if you want it to remain smooth and shiny after sitting at room temperature for a few hours. I did a post on How to temper chocolate which you might want to look at. If you don’t want to temper the chocolate, simply keep the chocolate-dipped ginger slices in the refrigerator until ready to eat. Then take them out a bit before you serve them (but not too long.) They’ll taste just as good as tempered chocolate. Thanks for the quick response, David. I didn’t see that post before! You managed to make tempering sound like it’s pretty straight forward actually, so I’m going to venture into trying that next and conquer yet another phobia. Merci! I live in Denver, so liquids boil at 205 degrees here. Should I still try to get the syrup up to 225 degrees? I’ve made candied ginger in the past (from a different recipe) and just experimented with how long to let it boil without ever measuring the temperature. Basically I found that boiling longer made a spicier syrup and a less potent candy, shorter the opposite. So, why 225 degrees at sea level, and will that be the same here? Thanks. I’m not entirely familiar with high-altitude baking and candymaking so it’s probably best to consult a book or resource that specializes in that to make any conversions to my recipes. Okay… less humour and a change in the recipe… my way. I love ginger tea, so I cover a few tricks. First… the spoon scraping is great, but save the shavings into a bowl. Later press these into a large coffee filter, and steep as a light tea. Next… chop and chunk the cleaned ginger as desired… I prefer chunks over slices… but personal pref here. I take about 3/4 lb of ginger (chopped) and toss it into a pasta pot. Then I fill pot about 3/4… and bring to full rolling boil. When pot has boiled down to about 1/3 pot… I begin to add sugar to taste… now water has begun to get very spicy. I drop boil down to a simmer, but crack pot lid to allow more evap. Now… remaining wet pieces in the pot I sprinkle with sugar… stir and toss, add more, and allow to sit for an hour. I drain the remaining liquid created into the jar, then spread ginger pieces onto tinfoil and place in preheated oven. I then turn off heat, and allow to sit overnight to dry out. Next day (or when dry) place pieces in sealed jar… and enjoy. I’ve just had the most marvelous ginger fest. I made the candied ginger – left 1/3 in the syrup (with enough syrup left over to keep for the brew you suggested), rolled 1/3 in sugar and coated the remaining 1/3 in chocolate. I intended to put all of the goodies away for a party this weekend, but…. we just had to taste each type, then I chopped a few of the chocolate-covered ones and mixed them into rich vanilla ice cream. Needless to say, I’d better find a good hiding place for the remaining ginger or the plate of them this weekend will be rather small.